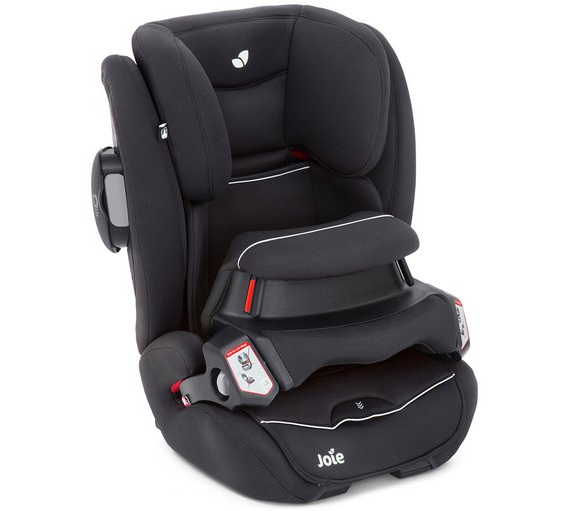 I bought this car seat for my nearly two year old reserving the joie every stage I have for my new born. I’ll start with the cons. It doesn’t have a tilt option so if your child falls asleep he or she may just sleep forward on the harness pad. Doesn’t look comfortable at all. Another thing is that it’s difficult to ensure it’s belted properly. Although it’s an iso fix car seat, you need to feed the car seat belt through the front of the harness pad and clip it into the seat belt part affixed to the car. It’s very tricky if you have a wriggling child to ensure they’re seated properly and comfortably without feeding the belt too tight. It’s a struggle sometimes as I have no clear view of the belt slot and can be frustrating to locate. The pros are that if you have a child what can get himself out of the arm restraint of a conventional car seat belt then car seat removes the danger of your child doing this as they are restrained by the over lap pad. Materials used still ensure a comfortable seat and there is a gauge on the harness pad which you can adjust to ensure the comfort of your child. If it only tilted I may have forgiven the issues when buckling the child in. 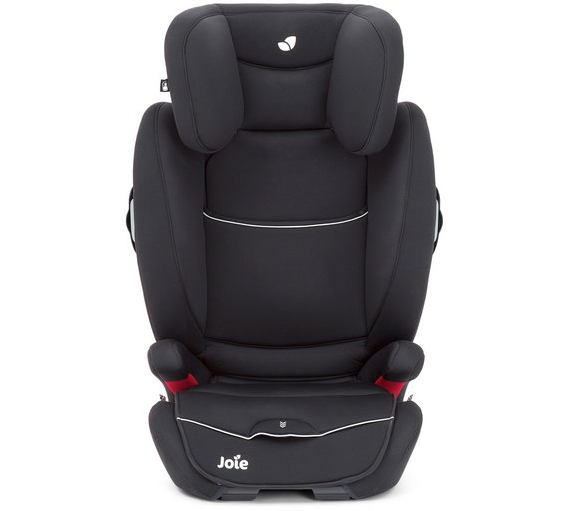 The Joie Transcend car seat is a multi-group car seat to take your 9kg passenger all the way thriugh their childhood until age 12. Impressive - It adapts with your child to keep them protected as they grow, so indeed this is a car seat that transcends time and circumstance! 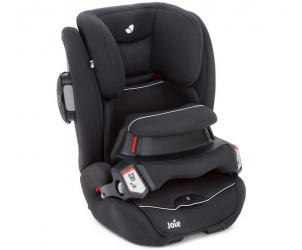 This robust, ISOFIX secured, Joie car seat cocoons your child to the max in the case of an impact, with added Guard Surround Safety™ panels and a SnugShield™ crash pillow too, all designed to specifically protect their vulnerable body parts (head, back and hips). And all of these safety features do not mean any compromise on comfort have been made, quite the contrary. The Transcend car seat's luxurious seat fabrics, adjustable headrest and strategic ventilation all contribute to a superior choice of car seat.